At RPR Hair Care, we are passionate about creating professional salon products that are simple, effective, uncomplicated and environmentally responsible. As a family owned business, we genuinely care about the world in which we live and ensure our business has a green philosophy where our products are cruelty free, environmentally embracing and created with plant actives that are sustainably farmed where possible. Our products are designed to create the latest fashion styles, colours and ensure hair health and condition is optimal. For decades we have worked closely with our professional hairdressing partners offering the best possible products, service and support for our salons, clients and their businesses. We are big enough to offer salons comprehensive product ranges and small enough to care. We keep our costs down to ensure our products are great value and don’t hurt the hip pocket. Our long and successful brand history demonstrates the trust and confidence our hairdressers have in RPR Hair Care, with Mycolour now Australia’s fastest growing professional colour brand. We are grateful for the trust and loyalty. RPR Hair Care has grown from one brand to a whole range of professional salon brands each designed to cater to different facets and philosophies of hairdressing. 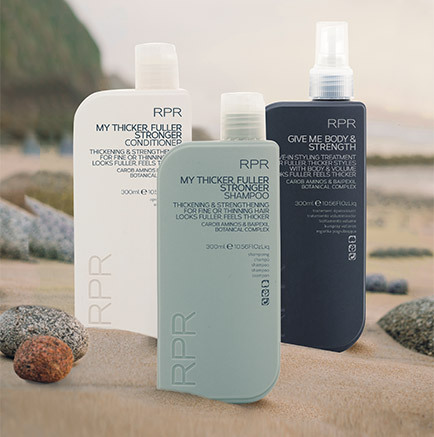 RPR – blended with plant actives, fresh fragrances, vitamins, proteins and UV filters. Salon Only (SO) – a premium range created with Australian Native Botanicals, keratin and is sulphate and paraben free. Amiplex – a range based on bond strengthening technology for coloured hair. MyColour – our professional reconstructing colour system. RPR Keratin Smooth & Gloss – our advanced keratin smoothing system. Our RPR and SO products are made in Australia. Our Mycolour, ColourU and Amiplex ranges are made in Italy to utilize the world class technology in colour pigments and bond restructuring. No matter what you desire, we have a product that will make your hair look and feel it’s best. Inspired by the abundance of renewable natural botanical extracts that abounds the pure Australian environment, we design products that are akin to a hair spa with fresh fragrances, luxurious plant extracts, vitamins, proteins and UV protectors. We source sustainably harvested plant actives where possible and blend them with advanced technology to create high quality, cutting- edge products with health giving benefits. Our products are tested by leading hairdressers to ensure optimal performance. Soothes and moisturises the hair. Anti-oxidant, Vitamin C. Smooths and revitalises. A rich source of protein. One of nature's most effective antioxidants with inflammatory properties. Eliminates free radicals and reduces UV damage. Promotes collagen, elastin and elasticity of skin. A powerful anti-oxidant that soothes and protects the hair and scalp. Cleanses and refreshes. Vitamin C helps promote collagen, elastin and increase softness. Antioxidant properties help to prevent cell damage. A sought after red seaweed that is found in the shoals of tropical waters. It contains an extract with highly beneficial properties called biostructurer. Biostructurer is an active substance for restructuring the hair. It smooths and protects the cuticle, restoring flexibility and shine to dry damaged hair. Additionally, it forms a soluble film on the hair, which provides protection, during and after colouring ensuring stronger, healthier shiny hair with long lasting colour results. High in organics acids and antioxidants. Revives and revitalises. Promotes elasticity. Promotes softer, smoother hair. Dramatically improves hair's elasticity and reduces frizz. PH balancing qualities, normalises scalp oil production and can help treat dry scalps and dandruff. Rich in Vitamin C which is anti-oxidizing and nourishing. Rich in Vitamin A and E which keeps the hair shiny and bright and reduces colour ageing. Contains fruit acids and Vitamin B to rejuvenate and tone. Helps restore natural PH balance, tones, protects and de-stresses. Stimulates senses. Energising properties. Antioxidant and Antimicrobial effects. Anti-oxidant, soothes irritation of dry skin. Contains natural compounds that promote hair growth. Used to nourish and strengthen the hair. It also adds silkiness and shine, while nourishing the scalp. Increases combability, hair strengthening, anti-breakage and shine. Mycolour contains micro pigments which can penetrate deeply into the hair shaft with minimum swelling. High in essential fatty acids and Vitamin C, a natural antioxidant. Refreshes, moisturises and nourishes the hair. Cleanses, purifies, with revitalising properties. High similarity to sebum. High in Vitamin E and other minerals, prevents free radicals damage, and is also anti-bacterial. Soothes the irritation of dry skin, and relieves itching. Rich in fibre, protein and natural oil. Cleanses and clarifies. Anti-inflammatory. High level of amino acids and anti-aging properties. Moisture binding to soothe, protect and refresh. Assists in hair growth and contains anti-oxidants. Contains extracts from lotus flowers with high vitamin anti-age content for increased colour duration. It also helps reduce water absorption and speeds up hair drying. Improves overall hair health. Provides natural-looking shine. Deeply hydrates, smooths and provides brilliant shine. Refreshes and invigorates hair and scalp. Aids in the removing of loose dandruff and promotes lustre in hair. Used to protect the hair against colour fade. Adds shine and de-frizzes hair. A refreshing fragrance for the senses. Hydrates hair and scalp. Anti-oxidant. Anti-oxidant. Source of essential vitamins and minerals. Moisturises the hair and scalp. A stimulating smooth, creamy wood scent. Rich in Flavone Glycosides to hydrate and moisturise. A source of antioxidants. Contains Vitamins A, C & E, proteins, amino acids, antioxidants and improves smoothness and vitality. Rich in Vitamin C, a natural antioxidant that rejuvenates and revitalises. Contains essential fatty acids, vitamins, and protein. Conditions, moisturises and strengthens whilst promoting growth. Highest known plant source of Vitamin C, a natural antioxidant that stimulates production of collagen and elastin. Reduces irritation of dry skin. Prevents damaged to skin cells structure. Antioxidant. Repairs damaged hair follicles. Encourages hair growth. Anti-frizz, smooths, shines and protects. Omega 3, 6 & 9. Antioxidant. Vitamin A & E. Limits dehydration. Anti-ageing. Stimulates growth combats hair loss. Anti-inflammatory. Improves hair growth, slows down ageing process of hair. Calms and soothes the scalp, hair and mind. Anti-oxidant, Vitamin A, rich source of minerals, promotes hair growth. Promotes collagen and soothes dry skin. Kera -Cysteine is the next generation of high performance keratin, designed by the leading chemists of Salon Only. It works on a multi-dimensional level to penetrate into the hair cuticle and all areas of the hair cortex, treating and restructuring stressed and damaged hair, repairing and restoring hair smoothness, health and shine. To revitalise the hair, making it smoother and more radiant. For longevity and glossy colour results. Clean, fresh scent for your hair. Anti-inflammatory. Vitamin E. Anti-oxidant. Anti-aging. Zinc aids hair growth, prevents hair loss. Vitamin from absobic acid promotes hair strength, healthy growth and repairs bonds. We offer a comprehensive range of products and services to ensure your salon is equipped with education, training and a wide selection of products to cater to your clientele. You can be confident that our restructuring colour system Mycolour will deliver vibrant, long lasting colour that exceeds your client’s expectations. The technical hotline gives salons and hairdressers on the spot advice when you need it the most. Our basin and retail products cleanse, condition and treat the hair, with ranges for all budgets and hair types. Our products cater to all the latest hair trends and needs. What the future holds for us? In an evolving world we are committed to staying on top of the latest technology, trends and ethical practices. We will continue to source the best possible ingredients and blend them with the most advanced science, so they keep exceeding expectations. We will continue to keep our products simple to use, effective and great value. 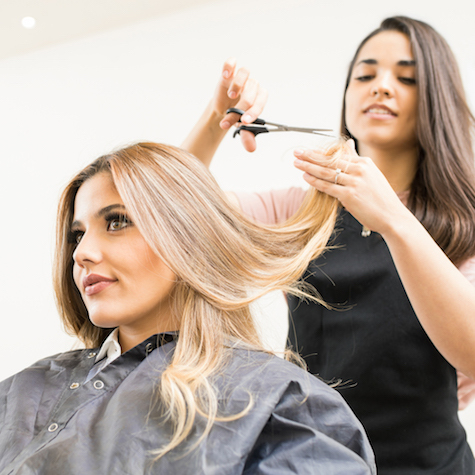 We are dedicated in providing excellent service to the hairdressing industry and ensure our partners receive the training and products that will give them the extra edge. Our clients can be confident that they are getting the best quality and price when they use our products.